A beer brewed in a disused milking parlour has won the supreme championship in SIBA’s 2008 National Beer Competition. Severn Sins, a dark stout from Severn Vale Brewing Company, which is based on a farm in the Cotswolds village of Cam, beat 342 other draught ales, ranging from milds to speciality beers, on its way to being voted national champion. Brewery owner Steve McDonald received his trophy when the results were announced at SIBA’s annual conference in York on 7 March. Steve and his family put in a year of hard work to convert the milking parlour, on the outskirts of the Gloucestershire town of Dursley, into a brewery that they hoped would provide top-quality traditional ales for pubs in the county and beyond. The brewery now supplies more than 50 pubs, including the Old Spots in Dursley, which last month was named as National Pub of the Year by CAMRA, the Campaign for Real Ale, a unique double for the town. On its way to victory in the annual SIBA competition, Severn Sins – brewed at 5.2% ABV – was voted champion in the class for porters, strong milds, old ales and stouts by a panel of expert judges at the contest’s finals day in Hereford. 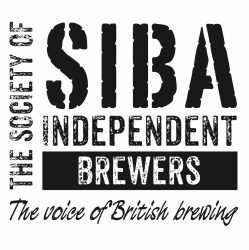 There were eight classes of beer being judged in all, each made up of the winners of SIBA’s seven regional competitions staged during the past 12 months. Severn Sins won the gold medal in its class at the SIBA Wales & West contest.